The planet’s highest mountain range, the Himalayas, are synonymous with rocky cliffs and snow-capped peaks. But they also have turquoise lakes, meadows dotted with wild flowers, and lush, biodiverse forests. One could spend a lifetime travelling its valleys and merely scratch the surface. To help get you started, we’ve got a list of lesser-known Himalayan getaways, places that allow for an unadulterated encounter with the mountains. Our list of tried-and-tested recommendations spans from Jammu & Kashmir to Meghalaya. Instead of much-visited Ladakh, head to the high-altitude desert of Spiti, with its vast landscapes and strong Tibetan Buddhist culture. For tea estates without the crowds, we suggest under-the-radar Kurseong instead of Darjeeling. There are quiet hill stations with colonial architecture, mountain hamlets with lofty views, and, for active travellers, escapes full of DIY-trails. Each destination is rich in natural beauty and local culture. Beral is a reserved little place, with a couple of small grocery shops, a government school, and a mix of wooden and concrete houses, with apple trees hugging their walls. Not much happens here—and that is precisely its charm. The village forces you to slow down, and to observe details around you, like the way sunlight filters through a green apple tree outside the balcony of your room. But you can work up an appetite for local delicacies like sidu (steamed bread stuffed with seeds), and saag, a spiced meat soup, with hikes through thick deodar forests and visits to ancient temple complexes. Just a four-hour drive from Shimla, Beral is blissfully far from its madding crowds. More here. Beral is 100km/3hr away from Shimla, which has the closest airport and railway station. Located around the Uhl River, the Barot Valley has none of the signboards or other usual trappings of a holiday spot. The town is a cluster of cottages, plus a few stores and restaurants, surrounded by fragrant oak and deodar trees. 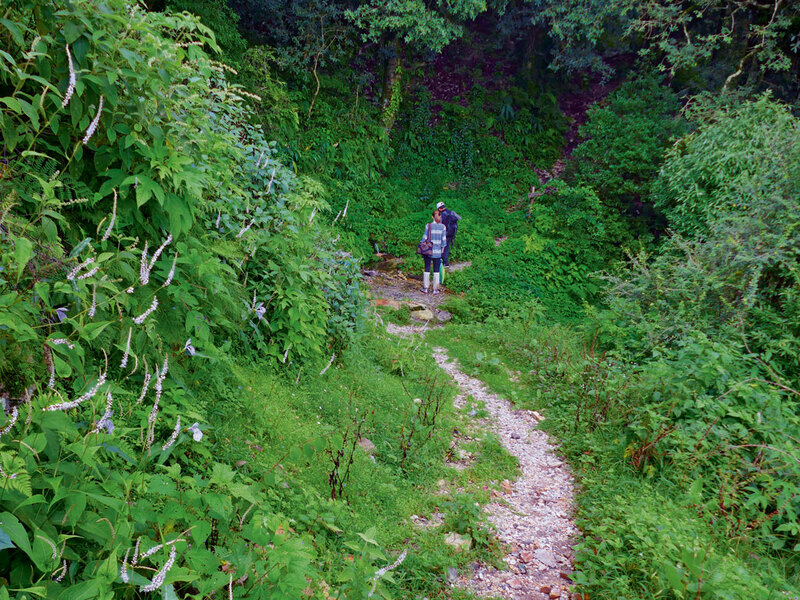 Earnest hikers will find much to like on Barot’s trails, and a couple of popular treks—to Bara Bangal and Palampur—begin here. The sweet silence of the wooded forests is broken only by a waterfall or two, or the rhythmic chug-chug-chug of running streams. The area’s clear waters also attract anglers, who spend blissful days fishing in its rivers, hoping to catch trout. Barot’s remote location (it is 3hr north of Gaggal airport, near Dharamshala) means that not many seek it out. But that shouldn’t stop you. More here. Barot is 90km/3hr from Gaggal Airport near Dharamshala; and 40km/4hr north of Jogindernagar, which has the nearest railway station. In Jibhi, one can experience a slice of mountain life, without all the frills of a hill station. It is blessedly quiet, unspoiled by tourists, and surrounded by pine and cedar forests that are ideal for long walks. Jibhi is also an hour away from the Great Himalayan National Park, and a short drive from picturesque Jalori Pass, which makes it a good base for hiking, birding, and fishing. The 1,500-year-old watchtower at Chaini Fort is worth a visit, as is the hike to the sacred Seroyul Lake. Try spotting rainbow rings reflecting off shadows in the mist while trekking to Raghupur Fort. More here. Jibhi is 60km/2hr from Bhuntar airport, and 150km/6hr from Shimla, which has the closest railway station. Learn to centre lumps of clay—and yourself—at Andretta, an artists’ colony nestled in the mountains of Himachal. Start the day with a bracing walk through the forests, then spend the rest of it at the pottery wheel. In the evening, sip whiskey sours around a bonfire. The residents are an eclectic mix of Indians and foreigners, and there are Saturday dances, Sunday brunches, Italian dinners and Spanish breakfasts. There are also long drives and even longer treks to explore. The Andretta Pottery and Craft Society is open to day visits, and offers intensive three-month courses for those who want to learn the craft seriously. Details here. Andretta is 45km/2hr from Dharamshala, which has the nearest airport and railway station. Despite its proximity to manic Mussoorie, Landour retains its old-world charm, floating dreamily in the clouds and mist. Landour’s most famous resident is the writer Ruskin Bond, who signs books at the Cambridge Book Shop in Mussoorie—a steep four kilometres below Landour—every Saturday. You may also spot him somewhere among the mighty deodars, red rhododendron flowers, and quaint British-style cottages, which give this hill town the appearance of an old-fashioned picture-postcard. Read more in our guide before you go, but remember that the best thing to do in Landour is just to curl up with a book at one of its cafés. Bring back fresh strawberry and gooseberry preservesfrom stores that have been around for nearly a century. Landour is 60km/2hr from Dehradun, which has the nearest airport and 120km/3hr10min from Pathankot, which has the nearest railway station. Shillong isn’t the first place that comes to mind when you think of visiting a hill station. But its understated appeal is precisely why mountain-bound travelers should consider a couple of days in Meghalaya’s capital city. Feed fish and go paddle-boating in the peaceful Ward’s Lake, hike to the 262-foot-tall Dainthlen Falls, and study the centuries-old Nartiang monoliths, which are a memorial for past kings. Sip on velvety hot chocolate while enjoying live music gigs at Café Shillong, and munch on fiery, crunchy aloo muri sold by roadside hawkers. Pack your walking shoes because Shillong is best explored on foot, which makes it perfect for giving those lazy city legs a good stretch. More here. Shillong is 128km/3.5hr from Guwahati, which has the nearest airport and railway station. A tea lover’s paradise that is also known for its orchids, Kurseong is a little over an hour’s drive away from crowded Darjeeling. Most of the charming, nineteenth-century colonial hill station seems stuck in time. Stay at one of several heritage homestays and visit Kurseong’s many tea estates and salons to indulge in Bengal’s favourite beverage. You’ll find apple cinnamon tea, tea mixed with crushed betel leaves, brews with orange peel, and tea with the strong flavour of passion fruit. However you like to take your cup, you’re guaranteed to find it in Kurseong. More here. Kurseong is 39km/1.5hr from Bagdogra, which has the nearest airport; and 42km/2hr from New Jalpaiguri railway station. Not too far from Darjeeling, Kalimpong is the perfect base for a lazy holiday in the north Bengal hills, with sleepier streets, a wide array of local foods, and a view of the five peaks of Kanchenjunga. Relax at a heritage hotel, homestay, or ecolodge; setting out on foot occasionally to explore the town. For a bit of local excitement, head to the bustling, biweekly haat on Kalimpong’s main street, which sells seasonal produce—vegetables, meats, cheeses, breads, and local mushrooms—brought down from the nearby village farms. Retreat with baskets spilling good food: perfect for a picnic. Kalimpong is 76km/3hr from Bagdogra, which has the nearest airport and 66km/2hr10min from Siliguri, which has the nearest railway station. The hilltop village of Kasar Devi may be tiny, but it has an outsize reputation. Bob Dylan, Cat Stevens, Swami Vivekananda, and Jawaharlal Nehru frequently vacationed here. 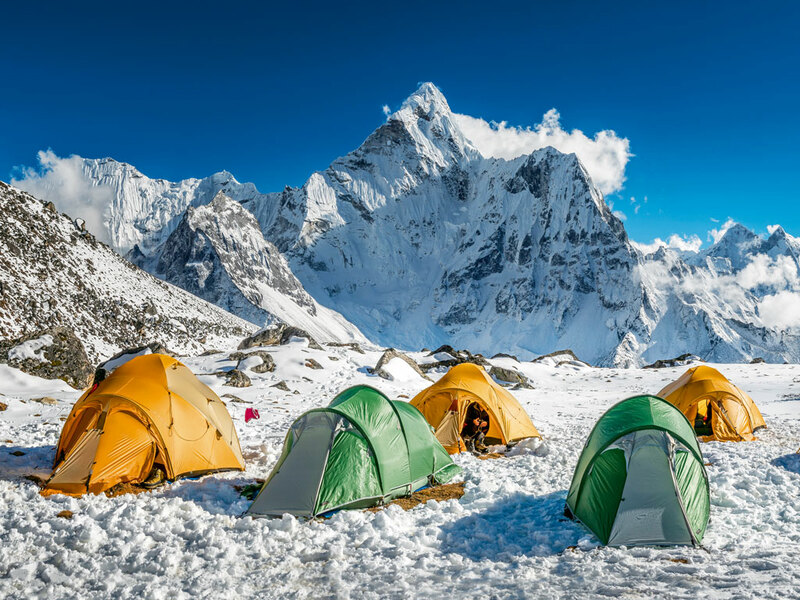 The surrounding snow-capped peaks of Nanda Devi and Panchachuli have been attracting travellers and truth-seekers for decades. Harvard psychologist and psychedelic drug user Timothy Leary, who earned the sobriquet of the “most dangerous man in America,” was a frequent visitor, and believed that Kasar Devi’s location endowed it with special cosmic energy—a view held by several Buddhist scholars and teachers too. Just 35min north of Almora, Kasar Devi is the place to visit for those without an agenda or itinerary, who are happy to just pick up snacks from a local bakery and take off into the hills. The village is the base for day trips to Almora, and the Binsar Wildlife Sanctuary. A handful of nearby temples includes the serene Jageshwar complex, about 40km away, and Kalimath, which is one of 108 shakti peeths in India. More here. Kasar Devi is 125km/3hr45min away from Pantnagar, which has the nearest airport and 3hr/89km from Kathgodam, which has the nearest railway station. 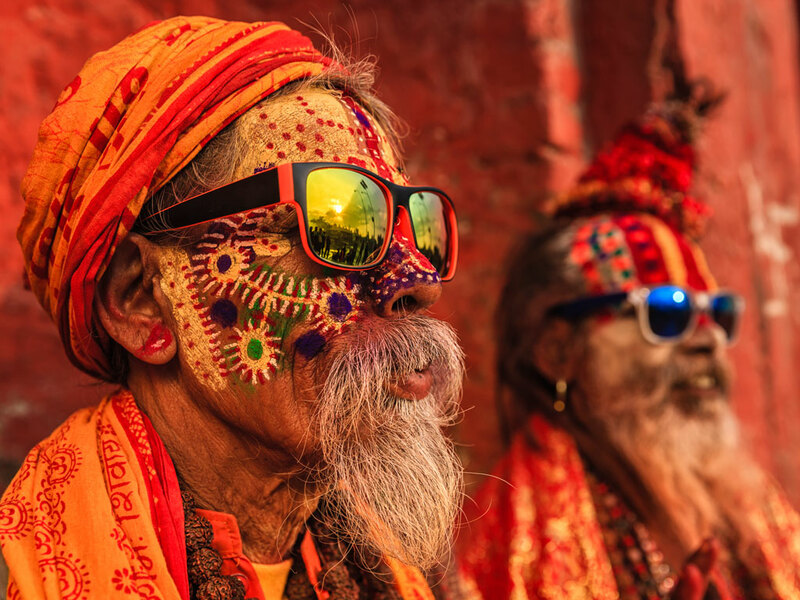 The Himalayas have drawn thinkers, philosophers, and artists to them for centuries. The Russian artist Nicholas Roerich was so moved by the mountains that he decided to make his home among them. Roerich settled in the quiet village of Naggar, along the banks of the Beas River, surrounded by the peaks that often featured in his paintings. Just 30min south of crowded Manali, Naggar feels completely secluded. Visit Naggar Castle, an elegant Pahari structure in stone and timber, containing wood carvings of pine and spruce, which was built in the 15th century by Raja Sidh Singh as a royal residence. Later, it became the kingdom’s state headquarters, and now it is a heritage hotel overlooking the spectacular Kullu Valley. The nearby Roerich Estate has an art gallery and small memorial to the painter. For those looking for an active holiday, try the Chandrakhani Pass Trek that begins close to Naggar, or sign up for a paragliding session. More here. Naggar is 280km/7.5hr away from Chandigarh, which has the nearest airport, and 145km/3hr45min from Manali, which has the nearest railway station. Spiti has all of Ladakh’s natural majesty and none of its photo-hungry tourists. This remote part of Himachal Pradesh is characterised by jagged mountains, swift-flowing rivers, swirling barley fields, and beautiful Tibetan Buddhist monasteries perched on treacherous cliffs. Its local travel outfits work to promote sustainable, eco-friendly travel by connecting visitors with homestays. Get a taste of mountain life by participating in the harvest, or learning to make local favourites like churpi, a chewy yak cheese, and savoury dumpling made with tsampa, or roasted barley flour. The region’s many monasteries are home to thousand-year-old trees, sacred scrolls, and ancient mummified monks, which attract devotees from near and far. Patchy mobile networks make this an unforgettable digital detox. More here. Kaza, the capital of the Lahaul-Spiti district, is 251km/5hr20min from Kullu, which has the closest airport, and 365km/8hr10min from Jogindernagar, which has the nearest railway station. Skip Nainital for the relatively tourist-free town of Bhimtal. It doesn’t have the religious shrines or colonial monuments of Nainital (22km/50 min away), but for walks, charming views, and utter relaxation, Bhimtal can’t be beat. Check into a charming homestay and spend your break fishing, tucking into fresh parathas, and exploring the modest local market. Sattal, a series of seven interconnected lakes, is located 9km/15min away, and offers activities like kayaking. More in our guide here. Bhimtal is 50km/1hr30min from Pantnagar, which has the nearest airport, and 22km/45min from Kathgodam, which has the nearest railway station. Srinagar’s shikaras and Gulmarg’s glossy snow-covered slopes are part of the quintessential Kashmiri experience. But stray off the beaten path, about 70 kilometres from Srinagar’s thronging tourists, and discover untamed wilderness on the eight-day Great Lakes trek. Piercing blue skies, soaring mountains, and glacial blue lakes make the blisters and sores worth it. Walk through meadows filled with wildflowers, take a dip in icy-cold water, and cross gentle rivers as you encounter seven lakes tucked away in valleys and at the bases of mountains. The trek is moderate to difficult, so make sure you’re fit before signing up. More here. The trek begins in Sonamarg, about 70km/3hr away from Srinagar, which has the nearest airport and 400km/10hr from Jammu, which has the nearest railway station.